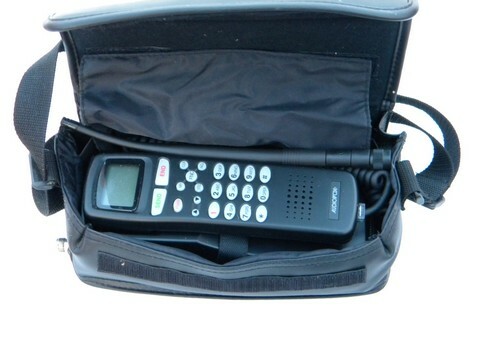 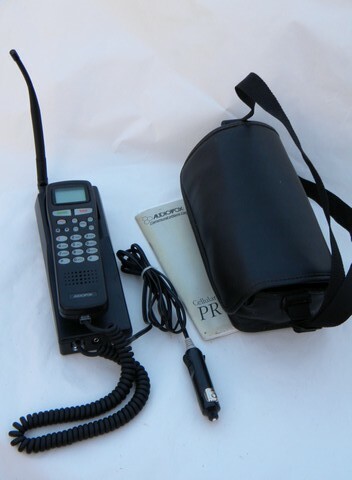 Late 1990s Audiovox portable radio or cellular telephone, model PRT9100AU with carrying case and manual. 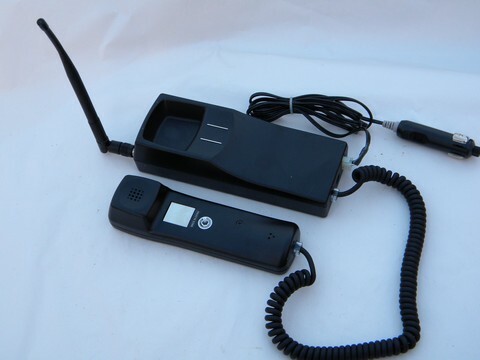 It has a large external antenna that connects with a large screw fitting. 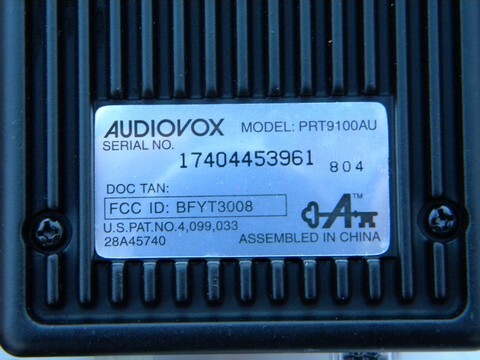 It has a power connector to run off of a car or truck power port. 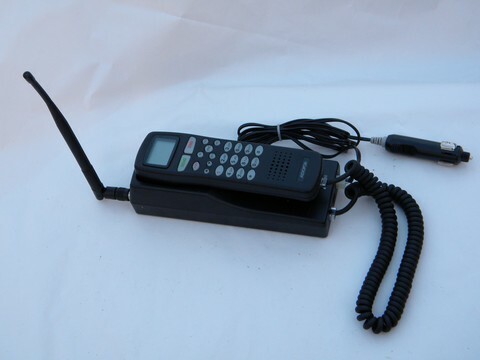 This phone is from the estate of an industrial telecommunications engineer who had tested the transmission and receiving frequency and strength of the radio in this phone and left a printout tucked in the manual. 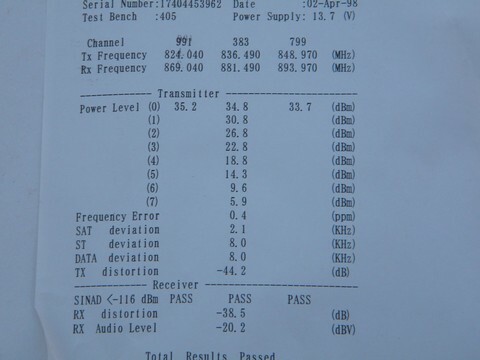 According to the printout, this was tested in 1998 and the radio transmitted in the frequency from about 824 to 848 MHz and receives on about 869 to 893 MHz. 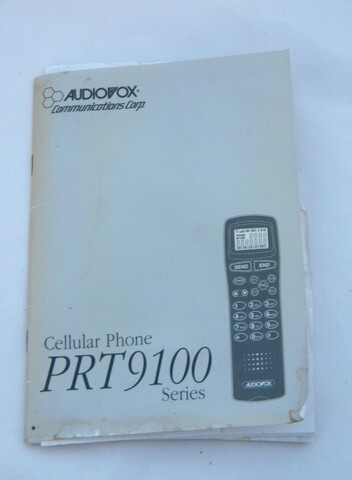 There is wear and staining to the manual.